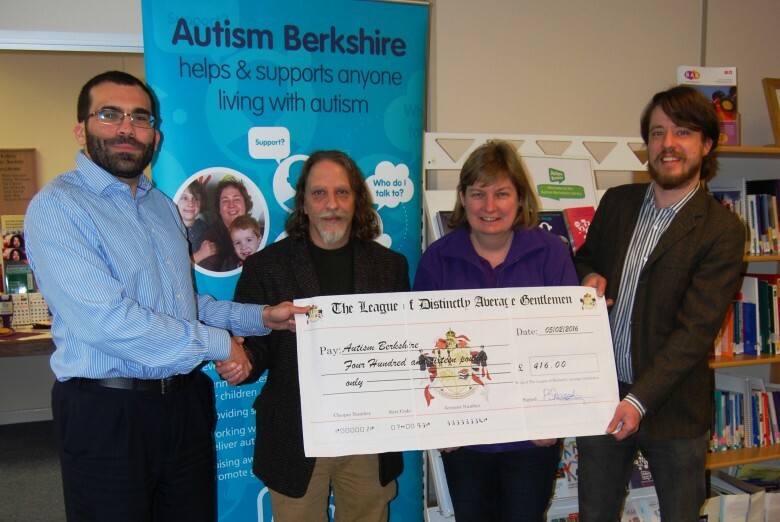 As a small charity Autism Berkshire relies on proceeds from fundraising activities to help pay for the services and support it provides to people living with autism. From holding a coffee morning, tackling a sponsored walk or bike ride to hosting a barbecue for your friends and family – however big or small the contribution, every little helps. Activities that people have organised recently include a football picnic, a head shave and a relay swim across the English Channel by an intrepid seven-strong team from Bracknell. And if you don’t have the time to organise an event or challenge yourself, keep an eye on our events calendar for information about what events are happening and maybe come along and join us? However you choose to raise money for us, we are able to provide advice and practical support, including our fundraising pack – which is packed with handy hints – as well as assistance with promotional and publicity material, such as posters and press releases. 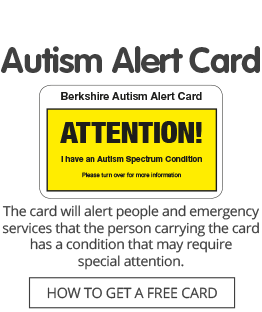 If you run a business and would like to have an Autism Berkshire collecting pot for small donations, please get in touch and we will provide one. 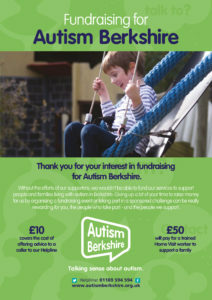 Our Virgin Money Giving page provides an easy way for you to set up an online fundraising page for activities to help Autism Berkshire. We collect used stamps, which we sell to raise money for our work. Used stamps should be torn off the envelope with a small border of envelope left around them so that the stamp is not torn or spoiled. Pictorial stamps are worth more than others and high-denomination, unusual and foreign stamps are most valuable. You can send your stamps to our office at 40 Caversham Road, Reading, RG1 7EB, drop them off at the office between 10am and 4pm on weekdays, or bring them along to any of our meetings. Click on the thumbnail, or here to download our fundraising brochure.